In 1968, our founder Anthony V. Alongi developed the first ground penetrating radar system for the U. S. Army. This effort was in response to the urgent need for a non-destructive method to detect non-metallic land mines and improvised explosive devices (IED) that were used during the Vietnam war. 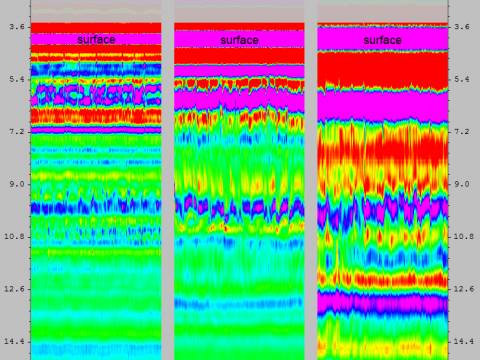 Following the use by the U.S. Army, widespread interest in other potential applications for GPR were initiated. Anthony V. Alongi sought out to make this technology available to the commercial world as well. In 1977, Anthony V. Alongi was joined by Anthony J. Alongi in order to apply GPR technology dedicated entirely to serving the transportation communities for road and bridge deck inspection. After focused research and development, our founders had built the very first air-coupled (non-contacting) GPR antenna, which currently makes high-speed pavement and bridge deck evaluation possible today. In 1978, Penetradar delivered our first commercial ground penetrating radar system to the New York Port Authority for the inspection of the Lincoln and Holland Tunnels beneath the Hudson River. That same year, a second system was delivered to the French Laboratorie Central Ponts et Chaussee (LCPC) for nondestructive testing of road and bridge decks. Penetradar was soon asked to participate in research efforts for the FHWA and the research branch of the Ministry of Transportation Ontario (MTO), (which further developed this technology for transportation applications), thus creating the launch pad for our Technical Services group. Since its conception, Penetradar has participated in numerous research studies with universities and state departments of transportation, the U. S. military, foreign military agencies, and NASA, providing years of professional expertise and experience to the application of GPR and non-destructive testing. Penetradar is a manufacturer of ground penetrating radar systems, systems integrator of infrared thermographic and high resolution imaging systems. We are also a leading provider of NDT utilizing those technologies. Penetradar’s Technical Services group has conducted NDT inspection projects across the United States, Canada, Europe and Asia. Penetradar is a standing world leader in GPR bridge deck and pavement inspection services, having inspected over 50 million square feet of bridge deck area and thousands of pavement lane-miles. Penetradar is the only organization offering full lane, high speed GPR inspections. Penetradar has been paramount in the continuous research of GPR, infrared technology (IRT), and other NDT methods for civil engineering applications under the Strategic Highway Research Program (SHRP) C-101. Our GPR techniques have been adopted by AASHTO in standard TP-36 and by ASTM in D6087 for bridge deck condition evaluation. We have also improved the use of GPR for many other NDT applications such as the detection of underground utilities and underground storage tanks in environmental remediation, as well as for, historical, archaeological, military, and humanitarian land mine detection. Penetradar is a leading manufacturer and provider of the most accurate and technologically advanced ground penetrating radar for highway pavement & bridge deck evaluation worldwide. By creating the (air-coupled GPR) industry standard, Penetradar is considered the marque in GPR. We believe that by striving for excellence, our customers will experience a better product. Through superior innovation, our continual goal is to advance the potential of GPR technology, create new technology, and to make our achievements available to the commercial world just as Anthony V. Alongi did in 1968. We realize that not every job, road, or bridge deck will share the same criteria, and we understand that our customers have different expectations, so we do not generalize criteria or data. Each job is treated as custom and personalized expressly for our customers. At Penetradar, we believe that hard work and determination ensures the life of a company, and as a third generation firm, we prioritize our employees and customers. I make every effort to extend my company to the people that matter the most. And although Penetradar continues to expand, we will always remain cohesive and maintain our core values. We place a considerable amount of effort into providing our customers with the best possible service, whether a result of an equipment sale or on-site survey, our staff is highly skilled and well experienced, and they are always ready to do what it takes to get the job done right. On behalf of Penetradar, I personally extend a warm welcome to our future customers, and a very sincere thankyou to our past and present. We look forward to working with you. This radar was comprised of a broadband, high resolution short pulse transmitter and a bistatic or monostatic non-contacting antenna. Anthony V. Alongi and Anthony J. Alongi publish first theoretical analysis and modeling of radio frequency (RF) interaction with PC concrete material. This invention provided the foundation for GPR design and its fundamental concept is still used in infrastructure evaluations. Penetradar, with cooperation from the US Strategic Highway Research Program, develops advanced radar data acquisition and signal processing equipment and software to non-destructively determine the presence of delaminations in bridges decks using GPR. Penetradar’s ground breaking research is identified in AASHTO TP-36 and ASTM D6087-03 and are still widely accepted as the preferred NDT method for evaluation of asphalt-covered decks. Penetradar further develops GPR for evaluating pavement structure and layer thickness in conjunction with the Texas Transportation Institute (TTI), the Italian Autostrade (ARGO project), and the French CETE. Penetradar supplies two state of the art radar vans to the US Federal Highway Administration to demonstrate GPR to various state DOTs. This demonstration brings GPR into the main stream. Penetradar becomes synonymous with quality control in the country of Poland where it revolutionized the asphalt paving industry with accurate measurement of HMA. Penetradar is internationally recognized as the premier provider of high-speed, vehicle based GPR. Penetradar partners with NASA and NASA’s Goddard Space Flight Center for work on the Mars Rover as well as NASA Earth Observations (NEO). Penetradar provides GPR for mine detection to the US Army, US Marines, and the Geneva International Center for Humanitarian Demining. Penetradar participates in SHRP2 R06G: Nondestructive Testing for Tunnel Liners in cooperation with Pennsylvania DOT and Oregon DOT. Penetradar participates in SHRP2 R06A: Nondestructive Testing for Concrete Bridge Decks in cooperation with Virginia DOT. 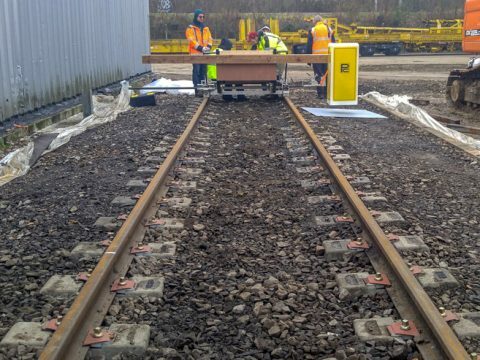 Penetradar is selected as the exclusive research partner and GPR provider for the French national rail network (SNCF) for the purpose of detecting buried objects and assessing the condition of rail ballast. Penetradar awarded NCHRP research grant for determining chloride quantities in a nondestructive fashion using GPR.